I have attempted to upload my recording of the performance class I did with hester (described in a post below) to a free upload site (as with free wordpress blogs they don’t allow you to upload mp3s unless you pay more, humph! ), but I’m not altogether sure how it works so here goes! This entry was posted in RSAMD, viola playing on February 3, 2011 by jesswyatt. I think I have to write programme notes so it would be good to start researching these pieces. Continue working on my posture in Alexander Technique lessons, trying to become freer around my shoulders and neck when I play and eliminating the tension I hold there. I have just ordered a new SAS chinrest which is slighter higher than my old one, which should help me in this process, as I know that I have a long neck and my current setup is giving me some pain when I play for long periods. I will also work on strengthening my arms, shoulders and neck with exercise. There are some exciting developments here! Following Robert Irvine’s suggestion, I asked my cellist friend Katarina whether her piano trio would be interested in forming a piano quartet with me, and when I met with them yesterday they seemed really keen which is great! We haven’t chosen repertoire yet but will look at Beethoven, Dvorak and Schumann next week to see which we want to work on. I’m continuing to play in Zoe’s quartet and we are entering a competition this term with a Haydn quartet and possibly the Ravel one- to be decided. Competitions: I will be entering the Viola Challenge Prize competition, in which a new piece is commissioned and candidates have a limited time to prepare it without input from their teachers. Unfortunately the prize is only £15 (compared to other prizes at the academy, a very paltry sum!) I think I will also enter the concerto competition with the Walton Viola Concerto – the prelim is on 7th March so I’d better get on and learn it….. 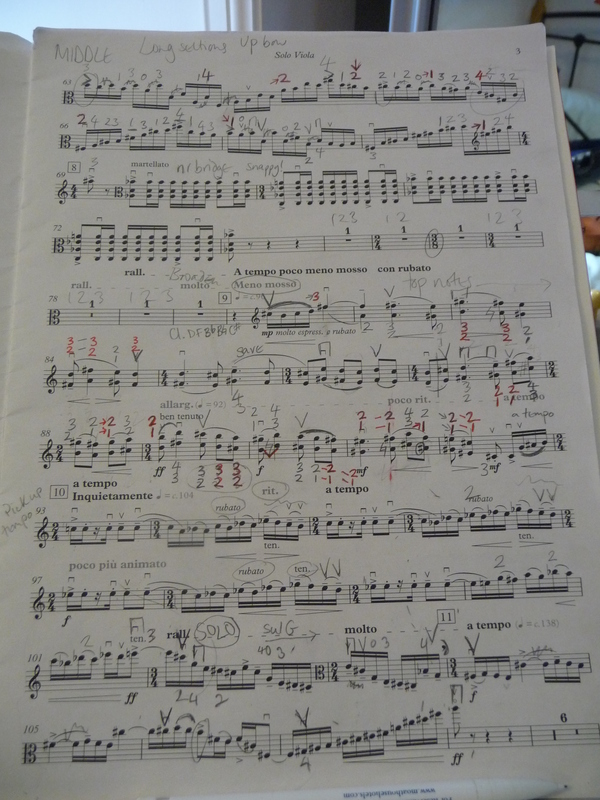 This entry was posted in RSAMD, viola playing on January 11, 2011 by jesswyatt.